We are duplicitous beings capable of magnificent levels of self delusion. Whoever thought this could be an affirming idea in fiction? Maile Meloy did………………….. 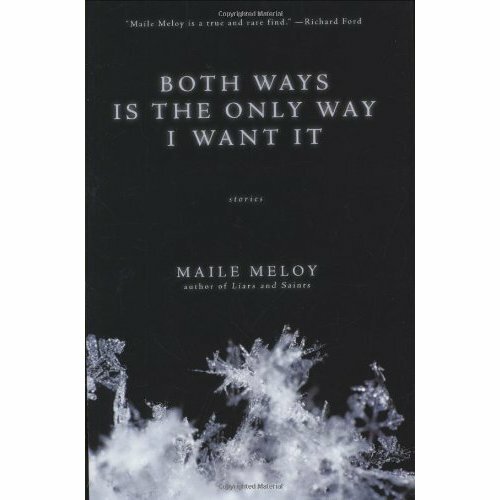 In Maile Meloy’s collection of short stories ‘Both Ways Is The Only Way I Want It’ there is solid and deep storytelling. Many of the books reviewed on this site have that so how can this book be different? Because boy, is this a clever book. Its title ‘Both Ways Is The Only Way I Want It’ is the common thread that underscores each story making the most different of characters have a universe in common. No matter how morally out of control a situation, or event, in Maile’s stories gets, the basic premise they all share is that although the two ways a character wants a situation to go are impossible, they all share the same strong desire to have it both ways. An unfaithful husband on the inevitable cusp of being caught red-handed still convinces himself he can get away with his duplicity if he just behaves obsessively like normal. Two warring brothers forced on a family holiday by their wives ends invariably in disaster but with each of the brothers wishing to repeat the holiday again the next year in the deluded belief it will be different! Delusion, duplicity and grandiose self deception confirm happily in these stories that we are human and it is ok to want the irrational…especially as the rational side of ourselves knows it is never going to happen! It is fascinating reading! The stories are full of such normal people, people out of work, people on holidays, children, hitchhikers, teenagers and pets. The normality makes the characters and their desires very easily conceivable. It is the human truth and desire that Maile carves out that is so clever and frightening. No matter how unreasonable your expectations or deluded beliefs, it is explainable by the condition we all suffer of being human. The collection is well balanced, with poignant, tender and melancholy stories and some very funny ones too. In the stories power changes hands like a game of tennis and you also won’t judge any of the characters for their very poor decisions because if you do you will be judging yourself. For a few days after finishing the book I was left with the image from one story of a child who wanted a puppy so badly, but was allergic to dogs. She brought one home covering her face and throat with a bandana and with socks on her hands to prevent a violent allergic reaction happily thinking she could live the rest of her life like this! Maile’s affirmation that we are capable of capable of the most grandiose of self delusion is one of the strongest affirmations of what it is to be human and feel alive…….want the irrational….believe with all your might it can happen….while all the time knowing it never will! Haiku; Short stories distill, the absurdity of life, novels dance around.